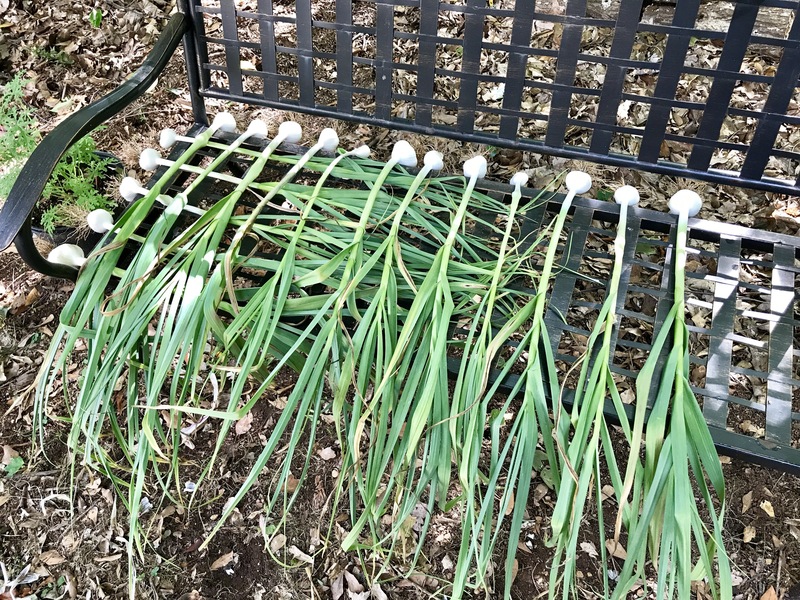 the time has come to harvest my garlic. 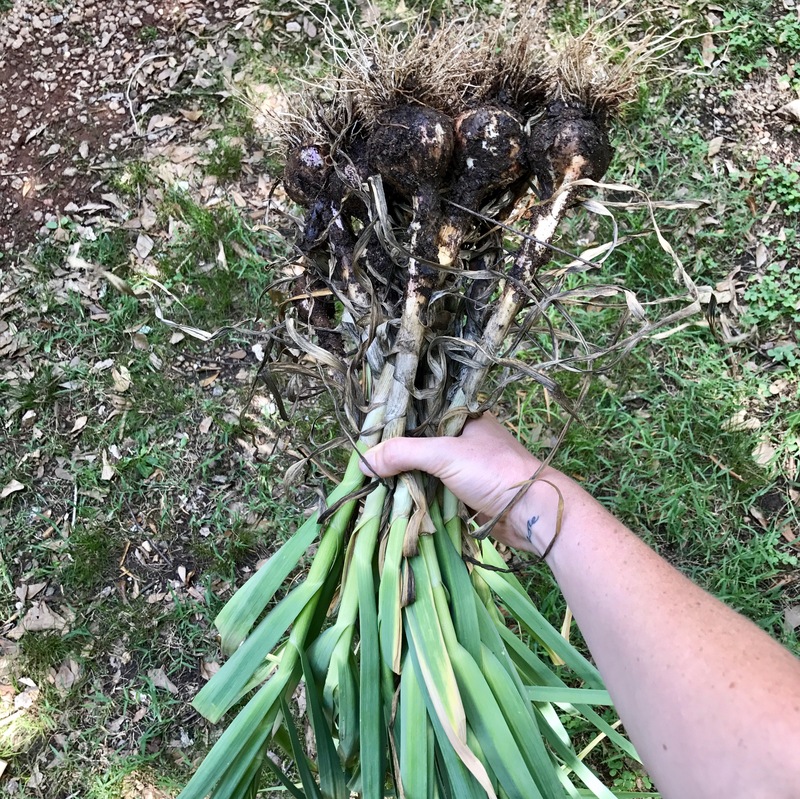 i planted a beautiful purple italian heirloom garlic last october, and i was beyond pleased with the results. in total, i harvested about 20 heads – a few have been used ‘green’, and the rest we have set out to cure for two weeks. 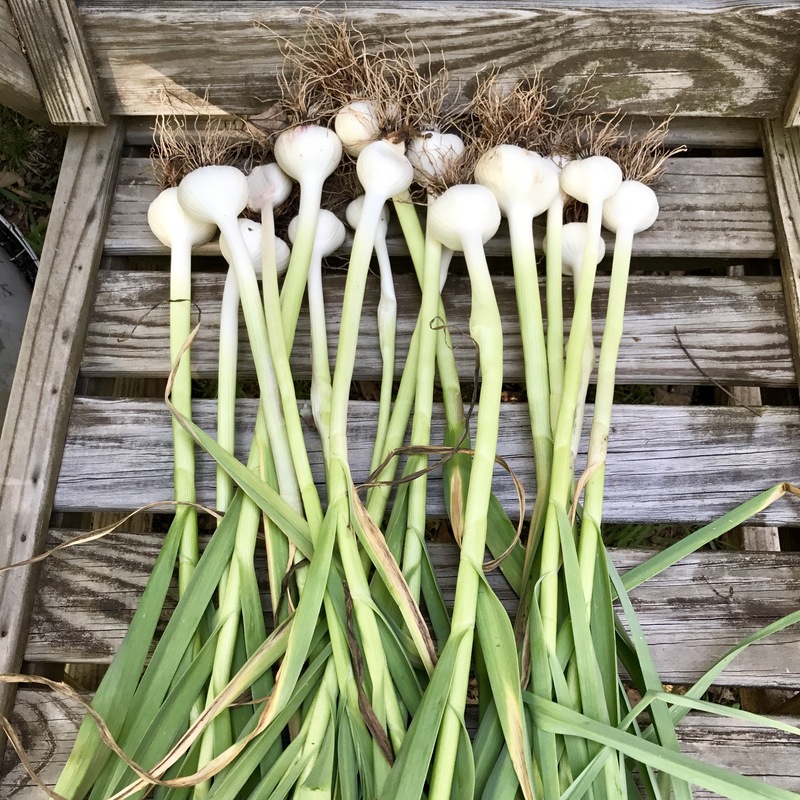 i wanted to grow garlic because it is a huge staple in our lives – we eat it raw and fermented for medicine, and we add copious amounts of it to virtually every dish we cook. planting and growing garlic is easy. it comes in “seed heads.” i started with two heads. you break the heads apart and plant each clove individually, with the sprout/ top facing up, about two inches underground. i planted in the fall and let the plants overwinter since we are down in georgia. keep the bed watered and weeded. by may, the leaves were starting to yellow and it was time to harvest. after i pulled the bulbs up, we peeled back the outer layers of skin which removed the dirt. then we set them on a bench to cure, tarping them during periods of rain. i will select about 20 of the largest cloves to save for planting this october.